Still Have Time to Register!!!! 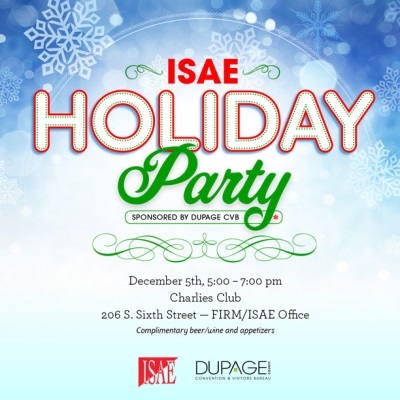 ISAE Holiday Invite – Everyone Is Invited! What a great way to end the first day of Convention. Hope to see you there!! The ISAE 2019 Membership registration is OPEN! Be Sure to Renew today! New programs for 2019 are in the works – you definitely want to be a member! 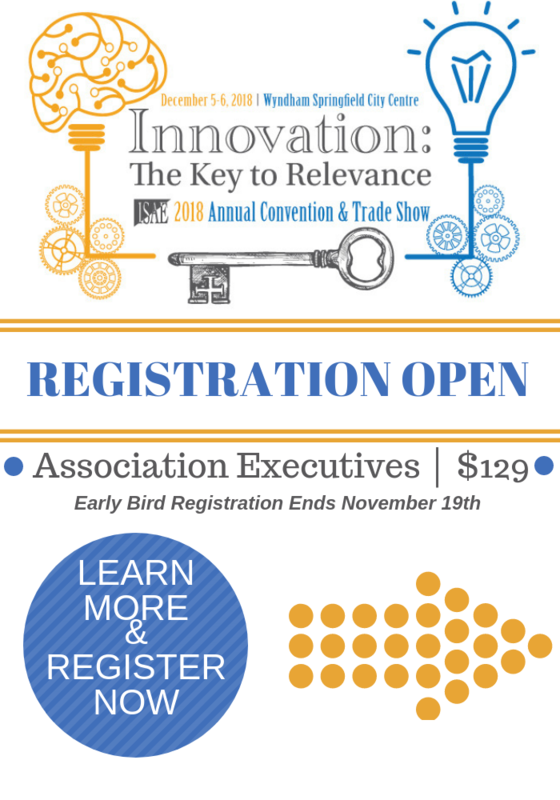 ISAE and Association Forum are excited to announce a partnership to enhance the value of your ISAE membership. Effective immediately, your membership also includes a digital membership with Association Forum at no additional cost. This connects you with online resources from the Chicago community in addition to access to the Association Forum online community. Forum's digital membership will help you keep your pulse on the Chicago market and expand your community of association professional resources without any additional investment. Digital access to FORUM magazine. 24/7 access to our online community forums. This Week, our weekly e-newsletter highlighting association trends and best practices. You will receive a welcome email from Association Forum when your digital membership is activated. In the meantime, please contact membership@associationforum.org with any questions about these new benefits. Renew your membership today, click here to renew!